Looking for something to do this weekend? Here are five events taking place this weekend around the Metro Detroit area. The Detroit Red Wings take on their rival Chicago Blackhawks at Joe Louis Arena this Sunday at 12:30 PM. The Wings are currently second in the Central Division with a record of 10-8-3. They took down the San Jose Sharks last night in a shootout, 2-1. The Detroit Kennel Club Dog Show is staging its 110th and 111th dog shows this weekend at Cobo Center in downtown Detroit. Tickets are available at the door and start at $15 for adults and $8 for seniors and children. 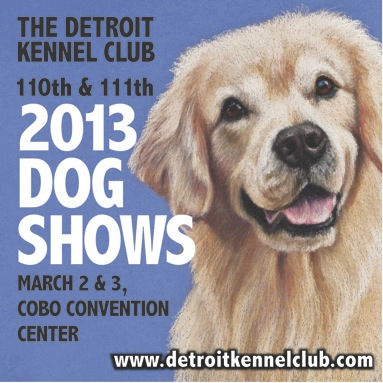 For more information on the weekends events, including schedule and pricing visit detroitkennelclub.com. If you haven’t been to the Musée d’Orsay in Paris, you have a rare opportunity to see one of Van Gogh’s most famous paintings at the Detroit Institute of Arts. The painting on loan, Bedroom in Arles, will be on display in the Dutch galleries and will be joined by three other Van Gogh paintings owned by the DIA. For DIA hours and other information visit dia.org. The Detroit Zoo will be offering an enrichment and keeper talk series at a different habitat each day this weekend at 11 AM. They will start today with a talk at the otters habitat. Saturday’s talk will focus on the red and green macaws at the Free-Flight Aviary. And Sunday’s talk will focus on the snow monkeys. For more information visit detroitzoo.org. The critically acclaimed production of Disney’s The Lion King is now showing at the Detroit Opera House. Tickets range form $35 to $150. Tonight there is a showing at 7:30 PM. Saturday has two showings, the first at 2 PM and a evening showing at 7:30 PM. Sunday has a matinee showing at 1 PM and an evening showing at 6:30 PM. For more information visit michiganopera.org. 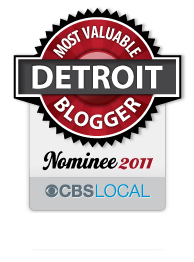 This entry was posted in Detroit, Fashion, Food, Music, Red Wings, Sports, Things To Do and tagged art, cobo, detroit, detroit kennel club, dia, disney, dogs, lion king, metro detroit area, musical, nhl, opera house, painting, red wings, Royal Oak, sports, theatre, zoo. Bookmark the permalink.